Beyond Housing Solutions is dedicated to providing the necessary tools and services to allow an individual living with a major life challenge to receive resources and experiences that to lead a productive life. Our organization was established to address the housing needs of those having substance abuse, medical needs, and mental health needs in Baltimore, Maryland, as well as the surrounding areas. The organization demonstrates and embodies the belief that all men and women have dignity, value, and worth. The stable supportive and transitional housing programs we provide assist in the development of a society of men and women who are confident, social, and community-oriented. 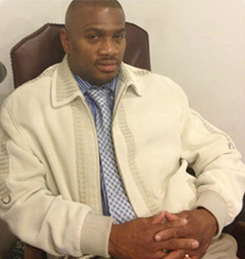 Rodney Moore began as an outreach worker with Park West more than 15 years ago. Working closely with the HIV homeless population, he became a certified tester. Mr. Moore has an extensive background working as an outreach clinic coordinator, where he provided medication and housing services to the needy. Over the years, Mr. Moore has diligently educated staff and management on the necessity of helping HIV patients. As a result, Beyond Housing Solutions has assumed the role as a leader and educator in the area of HIV education and housing support. His role as President of the Maryland Association for Supportive Housing, Inc. allows him to educate other housing providers who seek to provide supportive housing throughout the State of Maryland and the Washington, DC Metropolitan area. Angela Brockmond-Moore is the case manager for Beyond Housing Solutions. She also works for Dayspring Programs™ as a case manager for clients who are in a transitional program. She attended Norfolk State University and graduated from Strayed University with a degree in Business Administration in 2006. Ms. Moore worked in the healthcare field for more than 10 years and holds certifications in testing and counseling for persons who are HIV positive. Ms. Moore worked in the private financial industry for many years. She is a notary for the State of Maryland. In addition, Ms. Moore is a member of Gospel Tabernacle Baptist Church of Baltimore. Along with her family, she coordinates summer youth programs throughout the year. Ms. Tarver is a Certified Health Educator and has been working in the health industry since 2006. Ms. Tarver has an Associates of Applied Science in Early Childhood Education (1998), a Bachelor of Science in Health Education and Promotion, (2005) and Master Degree in Public Health (2009). Ms. Tarver is a Master Certified Health Education Specialist (MCHES) with the National Commission for Health Education Credentialing, Inc. (NCHEC) and Certified Phlebotomy Technician (CPT) with the National Healthcareer Association (NHA). As a Health Educator, Ms. Tarver has worked with the New York City Department of Mental Health and Hygiene and Portsmouth Health Departments a Health Educator, respectively. While employed with these agencies Ms. Tarver worked with adolescents and teenagers in Sexual and Reproductive Services. Ms. Tarver continues to work in the health industry as a Health Educator and a Screening Technician conducting Biometric Screenings. 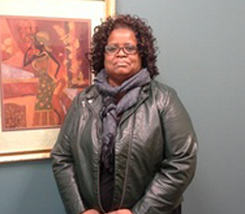 Currently, Ms. Tarver is employed with Moore and Moore Management/Beyond Housing Solutions as Quality & Case Manager. Ms. Tarver creates and maintains policies and procedures oversees all task related to quality management and oversees incident reporting process and other task related to quality management. Ms. Tarver plans to return to school to obtain a Doctorate in Emergency Management. Ms. Tarver currently reside in Pikesville, Maryland. Kyi Alford the receptionist here at Moore and Moore Management LLC. She is a junior at Coppin State University, majoring in Criminal Justice. She has worked many years in the community doing outreach, fundraising for students from the high school to college and working with ex-offenders transitioning back into society. Ms. Alford works closely and serves as a board member with a non-profit organization named the Youth Dreamers. After graduating with her bachelors in Criminal Justice in spring of 2019, she has plans to obtain her masters in Forensic Science and hopes to have the opportunity to work with the F.B.I.